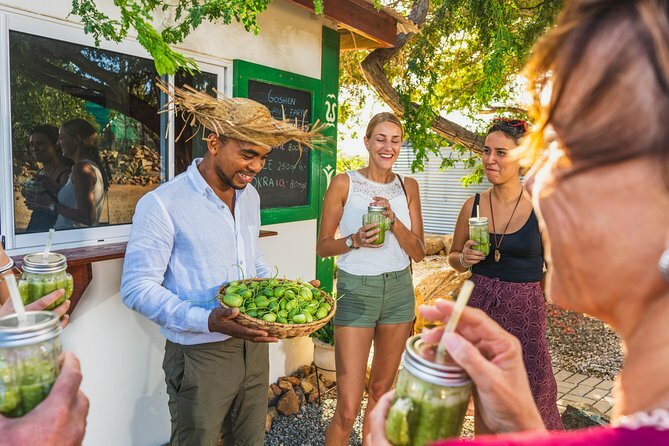 This unique tour features a perfect combination of a visit to a beautiful country estate and working farm, combined with a "Farm to Table" local cooking experience. Let us teach you how to cook a famous Aruban dish in our authentic stone-brick oven and enjoy a local refreshment while viewing a spectacular sunset. Pace. This tour can be booked as a private tour only for 2 persons. Exceptional bird watching opportunity is offered. with an overnight at Sagala lodge ( and a possible free upgrade to sentrim tsavo camp subject to availability ), this is a great opportunity for maximum wildlife photography. Now for something completely different! 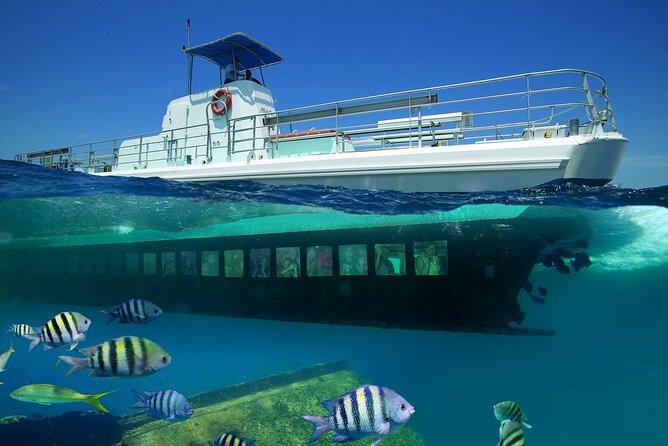 This vessel remains above sea level at all times, while its hull - at 5 feet below the surface - provides spectacular viewing of the Arashi Coral Reef, abundant Caribbean sea life and the famous WWII German shipwreck, "The Antilla". Break your beach getaway and head out to Tsavo National Park for an overnight stay and get to see the Big 5 among other animals. Tsavo East National Park is three hours away and this is a perfect tour in the wilderness. Experience an evening and early morning game viewing drive for a chance to see the lions hunt. Your luxury lodge at the heart of the Tsavo and gives you an added advantage when looking for game. Several watering holes nearby attract wildlife and spotting animals is easy because the park lies flat with savannah grassland. 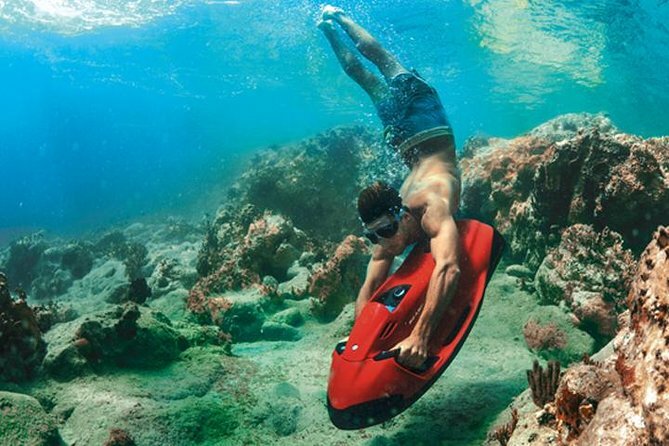 Visit different North Coast coral reef areas on a Seabob F5 S jet. 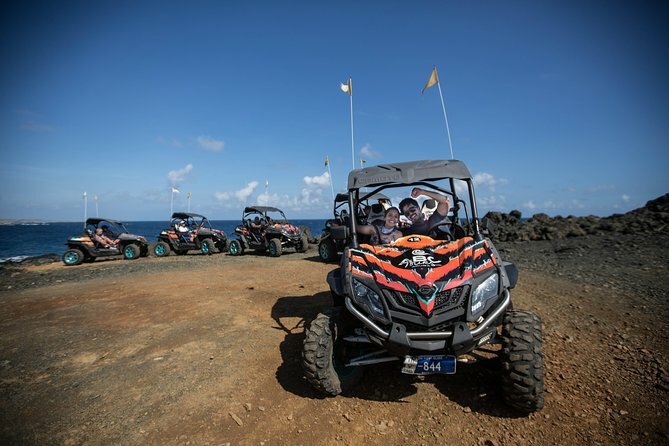 Included in this tour is everything you need for an awesome adventure: pickup and drop-off from your hotel, a 1-hour and 15-minute tour, beverages, snorkel mask, wetsuit, a Seabob F5 S Jet and gorgeous underwater landscapes and marine life. 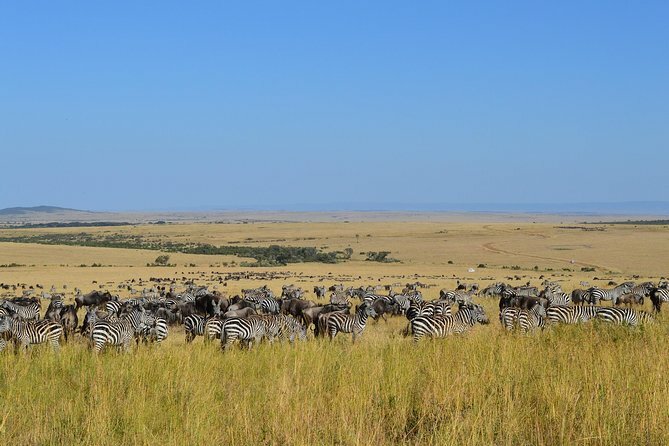 What is most striking about the Masai Mara, a massive game reserve in Kenya, is the sheer amount of wildlife roaming its grassy plains. Hundreds, sometimes thousands, of animals dot the landscape, from elephants and lions, to cheetahs, giraffes and the always cranky wildebeest. 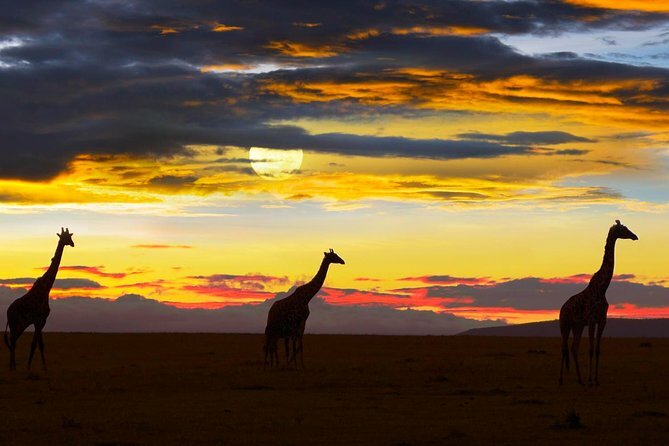 Join this 6-night tour to explore Kenya's most famous National Reserve. 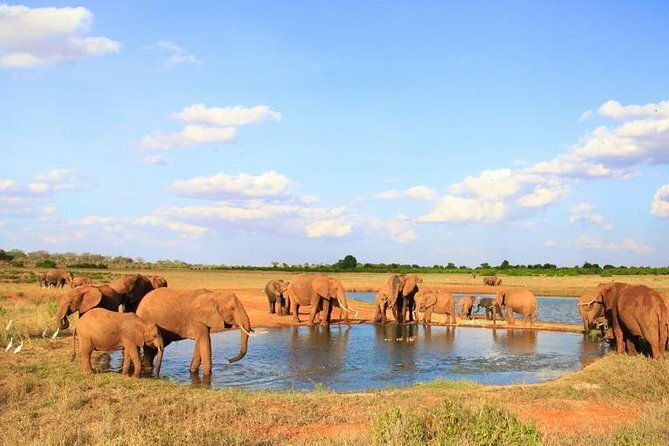 Visit Tsavo East National Park on a 2-day tour from Mombasa that’s designed to give you the full safari experience even if you have limited time. Watch for magnificent wildlife on a series of 3 game drives through Tsavo East National Park and spend the night in a lodge. 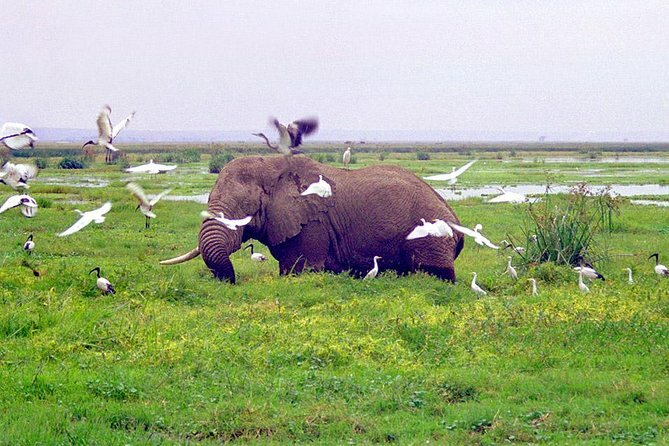 Taking this tour gives you the best game viewing of African wildlife from Mombasa, this is a great short Safari to take. Plenty of photo opportunities, good food, excellent guides and plenty of wildlife. Well worth the short time you have in East Africa for game viewing. Welcome to the beautiful beaches in Mombasa island. In addition to the beach safari, enjoy this 2 days safari to the nearest parks. 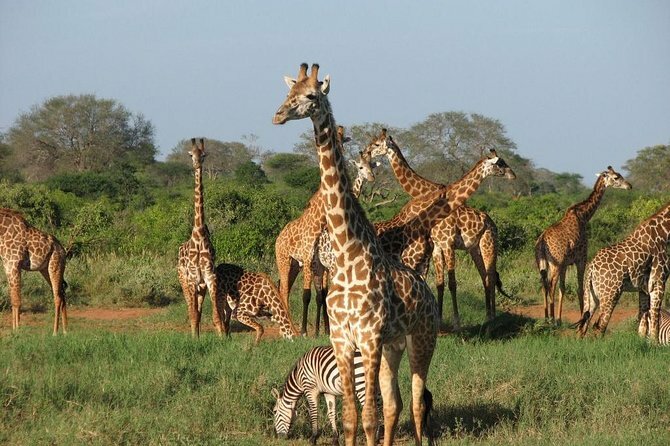 This tour takes you to Tsavo west national park. This is where you will find the Mzima springs. This park has great views of Mt Kilimanjaro a shared advantage with Amboseli national park. 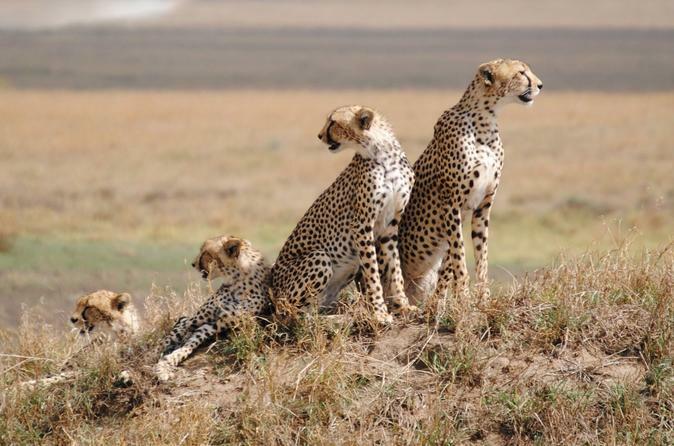 The tour takes you further to Tsavo east national park the famous park of man eaters. You get a chance to visit the Aruba dam where the wildlife congregate to cool themselves. 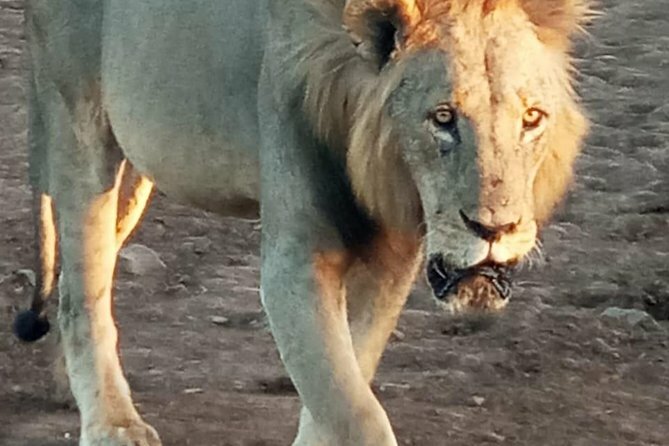 Explore 3 days Tsavo safari tour originating from the Kenya beach and exploring the red soil plains of the Tsavo East and scenic hilly landscape of the Tsavo West National Parks. On the tour, more quality time is spent inside the Tsavo National parks on game viewing drives. You shall be in search of the red colored elephants, Lion, giraffe, Buffalo, Warthog, Eland, Ostrich, Hippo, Rhino and many more. You shall stop at the Mzima Springs to view hippo, crocodile, exotic fish, birdlife on an escorted nature walk. 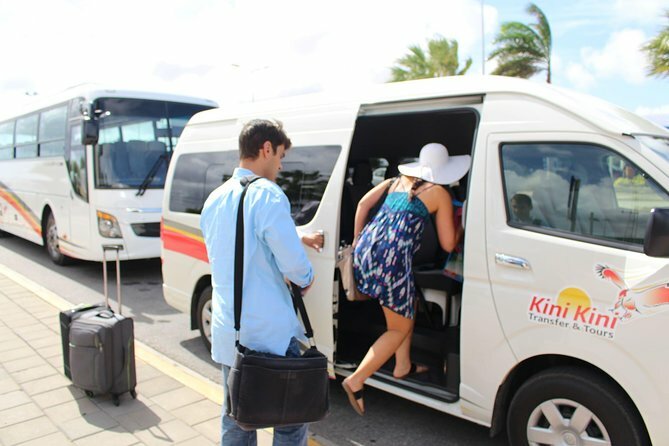 Tour is also suitable for families with children, Honeymooners, Couples, Singles and also seniors. 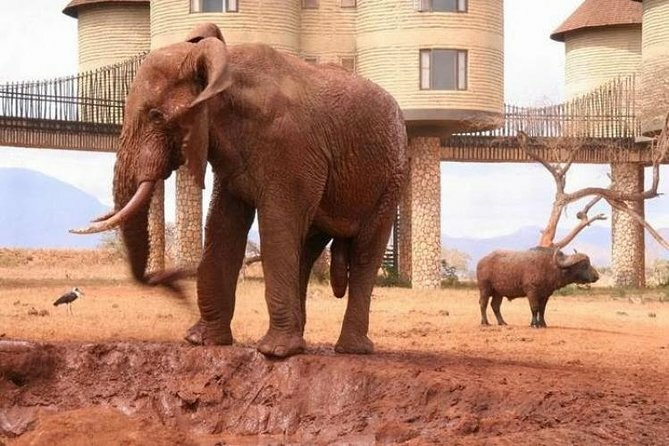 Enjoy a 2-day stay at the Tsavo East National Park. 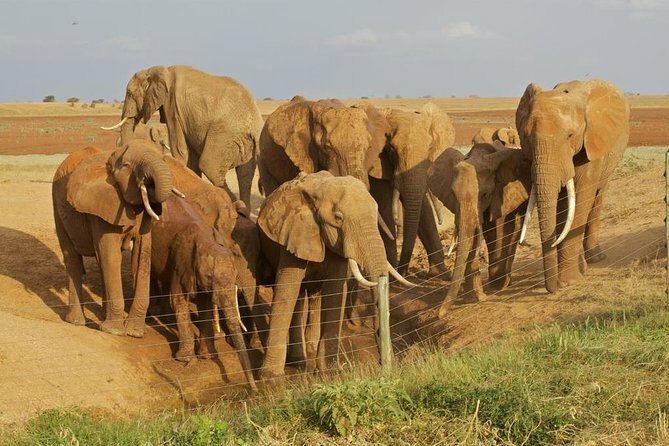 The park forms the largest protected area in Kenya and is home to most of the larger mammals, vast herds of red elephants, Rhino, buffalo, lion, leopard, pods of hippo, crocodile, waterbucks, lesser Kudu, gerenuk and bird life that features 500 recorded species.This Tour offers you a perfect opportunity to explore the park for its dust-red elephant rolling and spraying each other with the waters of Galana River - one of the most impressive images in Africa. 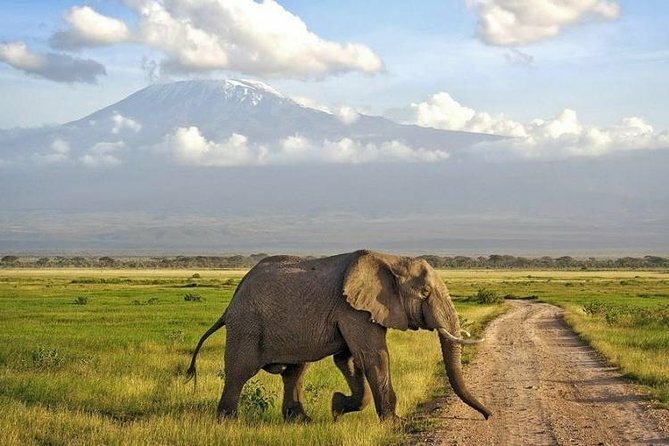 Explore and spends 2 nights at the Amboseli -at the shadows of Mount Kilimanjaro with wildlife game viewing drives & views of snow -capped Mount Kilimanjaro peaks. Tour proceeds to Tsavo West where we visit the Rhino sanctuary in search of the endangered Rhino. We shall also visit the Mzima springs-a source of underground water springs and still marvel at the awesome scenery. 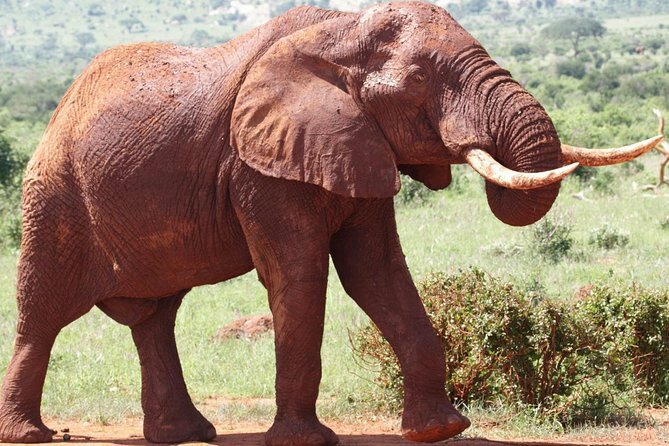 Tour proceeds to Tsavo East plains where we explore the land of the legendary man eaters & red colored elephants. 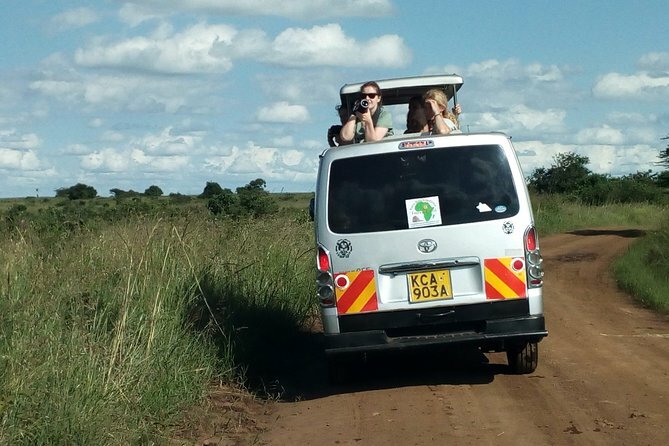 This tour covers the beauty of Tsavo park which is divided into two with different features and landscape . A short safari which is not tiring but has plenty of experience with wildlife and nature. In 3 days there is a big possibility to see the " Big Five " that is Lion , Elephant , Rhino , Buffalo and Leopard . The 5-day tour package provides a relaxed safari for families, couples, Singles and even seniors. 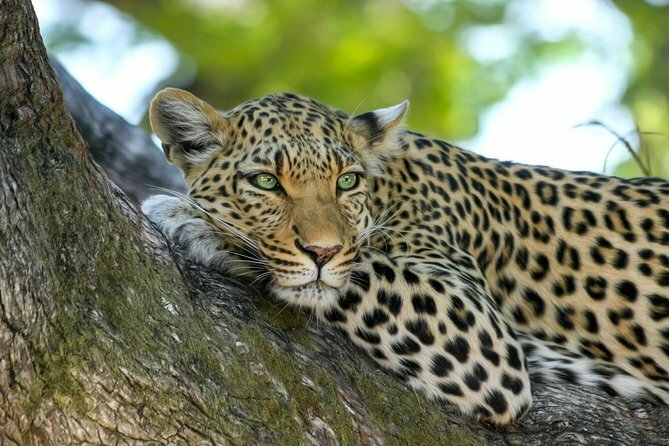 Enjoy Game viewing drives in search of wildlife, sightseeing and cultural encounters fill up the 5 safari days . 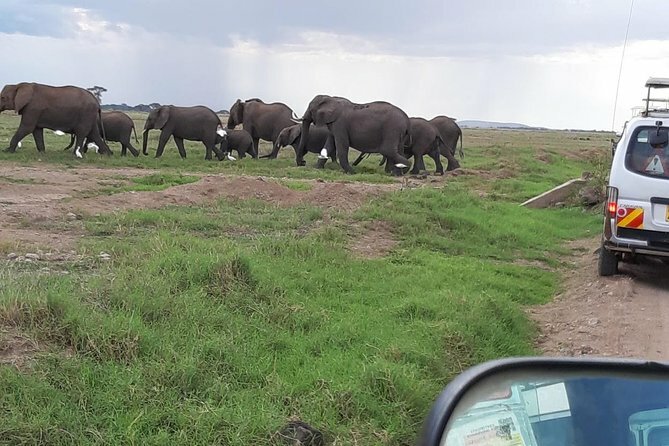 We start our 5 day Tsavo East, Tsavo west & Amboseli safari trip by heading to the open plains of the Tsavo East for relaxed game viewing drives. This shall be followed by a one night/ day discovery tour of the Tsavo West with its hilly scenic landscapes and shall include a visit to the Mzima springs to view hippos and crocodiles. 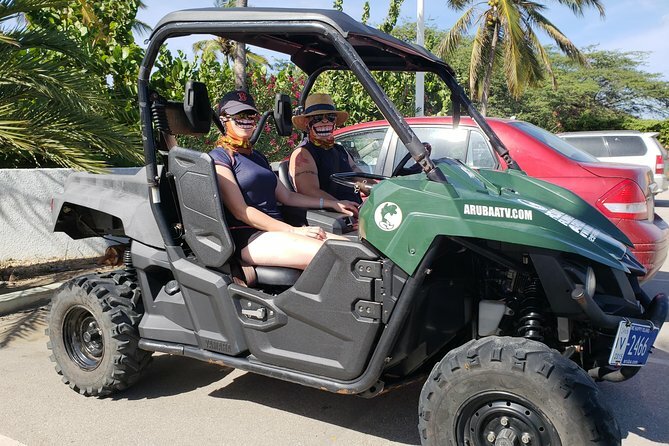 We shall finish by spending two days exploring the Amboseli national park at the floor of the Mount Kilimanjaro on game viewing drives and possible mountain peak views.